I’ve been listening to a lot of audiobooks recently while I cook, fold my laundry, or drive to work. I’ve almost ran out of them actually, and I think I will have to get a new Audible subscription. Or maybe I could try Scribd? I still have one book and a half to listen to before I completely make up my mind, we shall see. Anyway, one of those audiobooks I listened to recently was Tess of the d’Ubervilles by Thomas Hardy. I picked it up for two reasons: first, that it was a classic, and one I wanted to read at some point in my life, and the second time, because it was narrated by Davina Porter, and I think she is a fantastic narrator. Then when I started reading it, a few people told me how much they had loved this book, and I guess this got my expectations up: but in the end, I was mostly disappointed. I know I’m not very active on the blog these days, or even on instagram for that matter (partly due to the fact that the algorithm doesn’t make it as rewarding as it used to be), and it’s partly due to the fact that I haven’t been reading a lot lately, though that is no excuse. The fact that I haven’t been feeling well as well might be an excuse and I’m going to blame that on winter, and the fact that I’m not really happy with my life right now. I’m kind of spiralling down if you will. But hopefully this too shall pass. ANYWAY. Back to Tess. One of my latest reads was Tess of the D’Ubervilles by Thomas Hardy, narrated by the brilliant Davina Porter and to be honest I didn’t really like this book. I really WANTED to like it but I winded up being disappointed. I tried, and many people told me how much they had loved this book, so I really wanted to enjoy it as well, but I simply did not see what others saw in this book. In some ways, I couldn’t help but be reminded of Great Expectations by Charles Dickens. Yet another 19th century classics that didn’t live up to the hype — if there is such a thing as hype when it comes to classics, you know, I just wished I would have enjoyed it more. For some reason, I also compared it to Jane Eyre by Charlotte Brontë a lot, and it only disappointed me more, because I love Jane Eyre. Tess’s mother also reminded me of Pride and Prejudice‘s one and only Mrs Bennett, who desperately wanted to marry off her daughters, and so on. Except there wasn’t a good old Mr Bennett to balance that, instead we had a drunkard attached to the idea that his family used to be noble, but who didn’t do anything. These are some of the thoughts that crossed my mind while I was reading Tess of the d’Ubervilles, along with the fact that there was too much caring-about-what-society-and-other-people-think. But I guess that’s only human. I just felt that it was too much for me too handle. I was frustrated way too many times during the story, by both Tess and Angel. And in addition to that, I found it all too predictable — even the ending. I still gave it 3 stars because I liked the writing style, and the narration by my queen Davina Porter. It also gave me a few laughs in between the religious sermons and the misogyny, and I didn’t feel like giving it a lower rating. But that’s all. As for what other audiobooks I’ve been listening to lately, I might write a review for The Readers of Broken Wheel Recommend by Katarina Bivald, which was a lovely and sweet story, itself full of love for books. I’m listening now to a french story called La Route des Coqueliquots, by Véronique Biefnot and Francis Dannemark. As for physical reads, I haven’t moved from Can We All Be Feminists by June Eric-Udorie and A Blade So Black by L. L. McKinney. I think I’m kind of in a book slump. Actually, nothing really motivates me. I miss summer, I miss Paris, and I don’t really feel like doing anything these days. My life plans for the future change constantly, to come back to the fact that I want to work in a bookshop. Or is it because of The Readers of Broken Wheel? I always tend to be influenced by the books I read, and I don’t know what to think anymore. Yes, finally, I am writing a book review. I was probably the last person ever to read this book, I know, and I still came into it not really knowing what to expect, and I was really glad about that. I had a pretty bad experience with Dickens last year when I studied Great Expectations for one of my classes and ended up not really liking it. Not liking it at all, actually, I didn’t like the main character and found overall the book annoying and frustrating. But anyway, let’s move on to A CHRISTMAS CAROL because I really enjoyed it. I even have to admit, at some point I almost cried, so if this is not a proof that I enjoyed the book, then I don’t know what is. 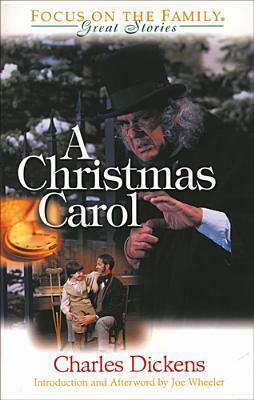 The main character, Scrooge, is an old man who lives mostly alone since his business partner died, and he hates Christmas. He hates everything about it, actually, and gets really annoyed by the town’s merriment around Christmas. But one night, he is visited by three different ghosts, and this will transform him. Well, first of all, as I mentioned above, I came into this book not really knowing what to expect. I just wanted to read it because I heard so many great things about it, and also because it seemed like the right time of the year, and therefore the perfect opportunity. On a side note, I listened to this Audible performance (which was free throughout the month of December) and I have to say, it was a really great narration. Anyway, back to the story itself. It is a very beautiful and moving story. I don’t really know what to say, I feel like I haven’t written a book review in so long, I don’t even know how to do it anymore. But really, I enjoyed this book way more than I thought I would. Since I don’t really know what to say, I’m just going to share some positive and negative points to sum up my experience with this book! Overall, I really enjoyed the story, and even if it was a bit predictable (what would be the point of the story if it didn’t end like that anyway, that would be depressing!) it was a very beautiful story. It’s been a while since I reviewed a classic, and I don’t do much of these anyway, so I had to write something about this one! It has been on my TBR for so long, I was actually planning on reading it in February, and never got around it… Until now! Originally written in 1879 by Dannish playwright Henrik Ibsen. It’s Christmas time. The main character, Nora Helmer, is a naive housewife, married to a man called Torvald, who works at a bank, and they have three young kids. Quickly, the reader/spectator finds out that Nora has been hiding something from her husband, which she thought was both of little importance and for his best interest. However, there is more to it but since she apparently wasn’t exactly taught the things of life, she 1/ doesn’t know and 2/ does not understand. As the play unfolds, Nora encounters people of both good and bad intentions, and has to take a life changing decision. So first I wanted to say that this play really did touch the feminist part of me. Torvald really doesn’t consider his wife his equal, she’s like a child to him, something he can play with, and even make fun of. She is like a doll (hence the title of the play). That is the frustrating part, at first. But thankfully, it doesn’t last through the entire play (even though Nora remains a rather naive character). The good thing is, as the play unfolds, Nora starts to realise it. She gets to understand her husband and the worlr better. The reader/spectator realises that there is more to her than her appearance, she also has her own secrets, and in her own way, is doing her best, and that made her a really endearing character to me. Her desire for freedom and justice also made me like her very much, and I really wanted to emphasize on the fact that there is more to her than what you may think at first, so please don’t give up on her after a few pages! Yes, Nora is very naive, and can get a bit frustrating. But there is a reason for this, it’s because of the way she has been treated for her entire life (and it’s obviously not a good way for her to get independance and opinions). And the fact that she slowly starts realising it and immediately wants to change it is what makes her such a great character in my opinion. I think that overall, this play is very clever and well written. It is also interesting that it was something really new and unique at the time, and I think that makes the story even more precious. I really liked this play because it was an easy and quick read, and also because of Nora’s interesting character development. I also really liked the parts with Mrs Linde, the other feminine character of the play, a woman who comes back in Nora’s life after years apart, and who has learnt to live by herself for years… She is the exact opposite of Nora, she is more rational, more experienced, etc. and they really balance each other. And unlike Torvald, she doesn’t look down on her, and understands her much better. At first, I just thought she was a very weird character, but the more I read her parts, the more I liked her, and her choices didn’t disappoint me. Ps: I despise Torvals and really admire Ibsen for writing such a play. Pps: If you want to read more classics and are looking for an easy read, then this is the thing for you! If you want to read more feminist books, then just go & check this one out! It is really clever and feels relatable. Even if the society has evolved (thank god!) some things still ring to me. House duties and stuff like that are things we see women doing, I see it very well with my parents: while my mom is doing tons of things for the house (cleaning, cooking, taking care of my brother…) my dad is usually in his study, telling us to make less noise. And I will never find this normal. So yeah, I see the point of having a room of one’s own. The worst thing is, this study was supposed to be my mom’s… I don’t understand why women always have to sacrifice themselves for men… But that’s not entirely the point of this article. Overall, this book was really enjoyable. It is clever and interesting, and it’s pleasant to read. I found it a bit hard to follow at the beginning, but the more I read, the harder it was to put the book down… So in the end, I absolutely recommend this book to anyone and everyone! I had to read Great Expectations for my English Literature class, and I figured I would write a review to share my opinion a bit. It was written by Charles Dickens, and first published in 1861. I have to admit, I had really low expectations for this book. I had watched one of the movie adpatations a few years ago, and hadn’t enjoyed it that much. It was a compulsory read, too, which usually doesn’t lead me to enjoy the book at first. And for some reason, I had overall a rather bad opinion on the story before starting it. So when I started reading, and I realised how pleasant the writing style was, I was greatly surprised. The story wasn’t that bad, and I realised I was actually enjoying the book. That is, until the end of the first part. Then, it started getting worse, until the very last chapters, which reconciled me with the book. I didn’t feel any empathy towards Pip, which was probably one of my greatest problems with this book. The more he grew up, the more annoying I found him. I sometimes found myself enjoying the ironic voice of the narrator, but overall, as a character, I didn’t find him endearing at all, and the only reason I finished the book thoroughly instead of skipping to the ending is because I had to write a paper on it. Aside from Pip and Estella, I actually like most of the characters, and Wemmick even has a special place in my heart – I just find him so adorable, I don’t know why. But I have many reproaches for Pip. He never thinks, and just follows his so-called “expectations”. And to make matters worse, he thinks himself oh-so-superior from the others. The only person I could stand even less than him was Pumblechook. So, why did I give it three stars? Let’s make it one star for the enjoyable first part, one star for the writing style – it’s Dickens after all – and one star for all the great side characters (Joe & Biddy, Herbert, Wemmick, and of course, Miss Havisham among others). I also grew attached to Magwitch, and I like how his relationship with Pip evolved (even though the I also found Pip ridiculous and desparate at many points, in the end, he grew to me when he grew closer to Magwitch, I guess). Overall, I can say that I started this book with very low expectations, and even though I struggled a lot to finish it, I was nicely surprised it the end, mostly due to the fact that it is really well made, and wonderfully written. This book is clever, I can’t deny it. People who like classics, 19th century England, and coming of age stories. If you have read the book, please feel free to share your opinion below! The Bell Jar is Sylvia Plath’s only novel, and it was published in 1963. The Bell Jar is a semi-autobiographical novel, and is also Sylvia Plath’s only novel, since she mostly wrote poetry. The main character, Esther Greenwood, suffers depression after spending the summer in New York to work in a magazine. She describes her state of mind as living “under a bell jar” which explains the title of the novel. Through the story, we follow her first in New York, and then through several suicide attempts, and then in different asylums that will take care of her. Warning: I honestly believe that however great this book is, it is not fit for everyone. If you have depression or suicidal issues, DO NOT read this book. There will be a time better fit for this. First of all, I have to say that this book is truly fascinating. The subject it deals with is not easy to talk about, however, I don’t think it could be done any other way. It is cleverly and well-written, and the main character, Esther Greenwood, is really endearing. Every time, I wanted to know what would happen next, and when she would get better, and how, etc. Second of all, because this was really important to me, I wish I had realised what I was getting myself into before starting this book. Don’t get me wrong, it is amazing. But the parts were Ether makes her suicides attempts made me rather uneasy, if not really sick. I understand this is what makes The Bell Jar such a great book. But if I had known, I would probably have waited before reading it. If this is something that makes you uneasy, you have to know what you will get yourself into before starting the book! Another thing I wanted to talk about was Esther herself, and her personality. In many ways, I found her relatable, and could do nothing but admire her. You can’t do much about depression, except get help, and this book showed it perfectly. She describes what it feels like, how worthless she feels, and why she wants to die. This book is not pretty, trust me, from vomit to suicide it has everything. But it is an important book nevertheless. It obviouly has a deep meaning. It will show you things you ignored, it will transform you. I don’t know what else to say. In many ways, it is a gloomy book. It’s definitely not something you will read in one sitting. You will need breaks, you will need time to think, to check how you fill. But trust me, when you finally put it down, when it’s over, you will not regret it. This book is worth reading, but read it with caution, read it little by little. The Bell Jar has also been categorized as a feminist novel, and indeed, it shows the road of a woman who doesn’t need a man. She is independant, even if her issues also make her vulnerable. And obviously, this is something new in the 60s. She is different. And I love how strong she is. If you’re looking for a classic, if you are curious about mental illnesses, if you’re looking for feminist books. And if you love Sylvia Plath, obviously. This review was really hard to write, and I don’t even feel like it’s a proper review, but I wanted to talk about this book, and how big an impact it had on me. I hope it helped see a bit what it was about if you haven’t read it, and if you had, I’d love to discuss it in the comments! L’étranger (The Stranger) is a novel published in 1942 by Nobel Price winner Albert Camus. I never got around it when I was in high school (I studied The Plague instead), and I thought it was about time I read it. The story takes place in Algeria. When the book opens, we learn that the narrator’s mother just died, and we then follow his journey to the burrial and back. But something is wrong with our narrator, he doesn’t feel anything. He is an imperfect character who seems to be a spectator of his own life, and often makes the wrong choices. This book was disturbing, that’s a sure thing. But just as the narrator didn’t seem to care about anything, I didn’t really care what would happen to him. The characters weren’t really endearing, but I guess that was the whole point of the story. And I know it’s supposed to be a classic and an amazing book – this is why I read it – but I couldn’t help being a little bit disappointed, thinking that something was missing. Don’t get me wrong, I don’t regret reading it. It’s just that I expected something else, something more. It was still interesting to read Camus, he is a fascinating writer, and his books really lead his readers to do some thinking. I recommend it to those of you who like classics and French literature! I’m sorry this is a really short review, but this book left me honestly really disturbed and I’m not sure what to make of it… It was definitely interesting, and also rather unusual. A part of me believes it’s a book one has to read in their life, and the other part is just completely skeptic. I would love to talk about it with you guys if you have read it!